Punctuality is a great virtue for student’s community to achieve success in life. 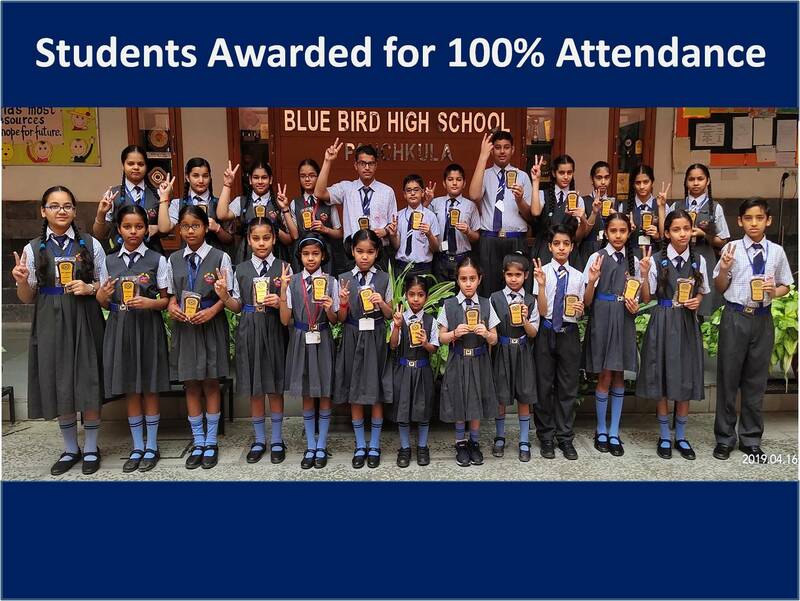 Therefore to acknowledge and recognize this virtue, a special assembly was organised to honour the students who remained regular throughout the session 2018-19. They were felicitated with trophies by the Director Sir. The Principal, Mrs. Vandna Bhatnagar congratulated the recipients’ and motivated the others to follow such good traits. 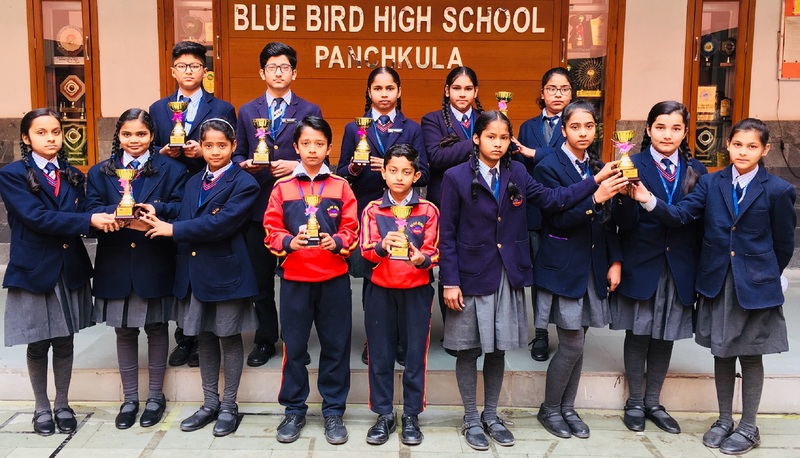 Students of Blue Bird School have brought laurels to their school by bagging many prizes in inter-school Spring Fest Competitions held at Town Park Sector -5 Panchkula. In Rangoli competition, in senior as well as junior category, in Best out of waste, Mehndi competition, Solo Singing, they won the first prize whereas in Tattoo painting, they got the second prize. All the winners were awarded trophies and certificates in the prize distribution ceremony. The principal, Mrs. Vandna Bhatnagar highly applauded the achievements of the participants and the winners and inspired them to excel in all the fields. In order to spread awareness about the empowerment of women in society, Women’s Day was celebrated in the School. During assembly period, speech was delivered highlighting the importance of this day. 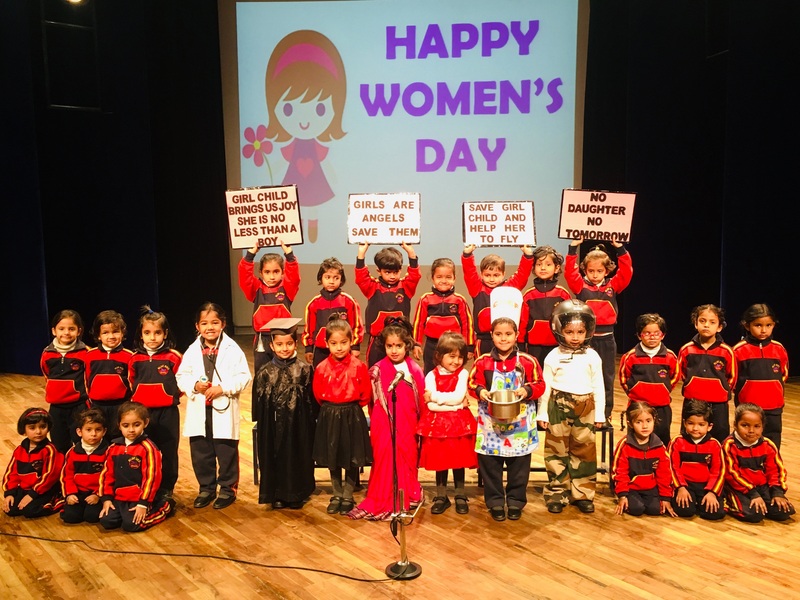 Even the small ones of Kindergarten section exhibited the place of women in society by enacting various roles such as Fighter pilot, Chef, Doctor, Lawyer and Teacher through a stage show. They also conveyed useful messages – Women the creator of universe, give her due respect.